When we are deep in the rabbit hole it is hard to see the light of day. The same is true for depression. It can feel like it is taking us under and the climb to the light can seem like a very steep and slippery slope. Join us for an inspiring interview with Marian Sandmaier who helps illuminate the path to wholeness and healing. Marian Sandmaier is an award-winning writer and editor specializing in psychology, behavior and health. Her articles have appeared in The New York Times, The ... See More Washington Post, O: The Oprah Magazine, The Psychotherapy Networker, and more. 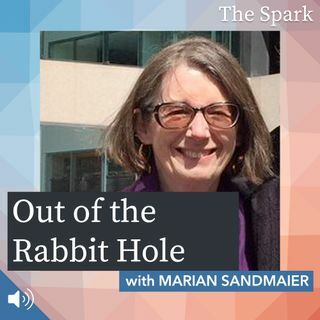 In this episode, we speak with Marian about her own life journey through recurrent depression and the tools that have helped her dig her way out and live more fully in the light.